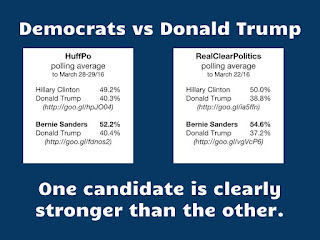 The fact that Sanders runs the table on Trump better than Hillary proves this in spades. Bernie Sanders attracts an independent and progressive libertarian voters that have no use for Hillary Clinton. This is exactly how Barack Obama was able to upend Hillary in 2008. He was not the Democrat establishment's first choice; they wanted Hillary then too. But Barack Obama was able to appeal to a not-so-partisan moderate and independent while Hillary could not. "Republicans for Obama" were a real thing and turned out to vote for him: winning red states like North Carolina and Indiana in 2008. 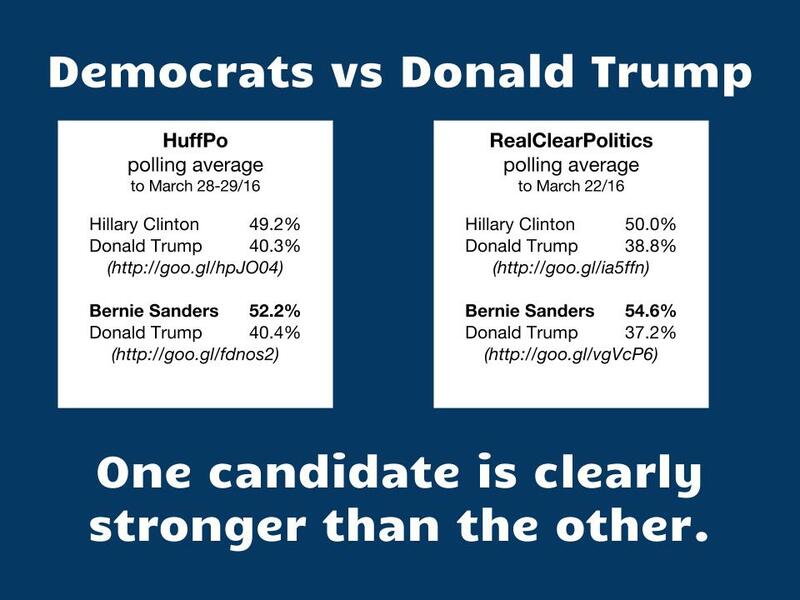 Yes, Trump loses to Hillary Clinton. But he gets crushed by Bernie Sanders. In an election where the choice comes down to picking more of the same vs change, Hillary Clinton represents the same old politics, same old divisions, same old partisanship and the same old obstruction. Bernie Sanders is the agent of change.